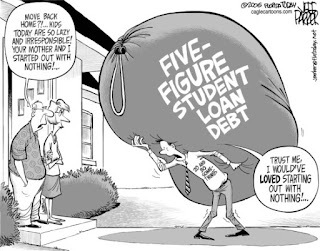 According to a recent Fidelity survey, between ballooning student loans, credit cards and money owed to family members, they are facing an average $35,200 in college-related debt. “We’re tending to find people are still surprised at the level of debt they’re graduating with, which suggests we still have a long way to go in terms of having conversations about planning for college, saving for college and figuring out the best place to go [to college],” said Keith Bernhardt, vice president of college planning at Fidelity Investments. Based on the most recent data, the bulk of the class of 2013’s debt is in government loans, with graduates owing an average of $26,000. They also had an average of $19,000 in private loans, $18,000 in state loans, $13,000 in personal and family loans and $3,000 in credit card debt. For those that have federal loans, now is the time to consolidate them. The same can be said for private student loans, especially those that carry an unnecessarily high interest rate. Whether you are thinking about a private student loan consolidation or a federal student loan consolidation, remember that by consolidating, you may be increasing the total amount owed if you choose to extend the repayment term. According to consumerfinance.gov, the amount of student-loan debt has surpassed $1 trillion. Below is list of tools that can help you cut down the payments and interest rates. By consolidating, you are combining a number of loans into one monthly payment. The pros are you have one payment at one interest rate. You may be able to lower your overall interest rate, but keep in mind that if you increase the repayment period, that’s more payments and potentially more money being paid out. 2)Increase the frequency of your payments. This is an easy way to cut down on your interest payments. For example, If you have a student-loan payment of $800 a month, pay $400 every two weeks. This will help cut down on your interest and end up saving you in the long run. By doing this, you wind up making the equivalent of an extra monthly payment each year. For example, $800 a month equals payments of $9,600 each year. But $400 every two weeks equals payments of $10,400 each year. 3)Work for a service organization. Whether it’s the military, Peace Corps or Teach for America, many service organizations offer grants that you can use toward student loans. Teach for America says it will pay 100 percent of the interest on qualified student loans while you’re in the organization. Peace Corps members are eligible to receive an $11,100 grant. You’ve just graduated with your bachelor’s degree or maybe even a post-graduate degree and the dreams that led to your path of higher education are now met with a frigidly austere economy. Sadly, after your grace period ends, all of your earnest intentions won’t wash with hungry creditors, but don’t despair. A whole industry of debt consolidation has risen to meet exactly these challenges. Here are some things to ponder if you think refinancing student loans might be the best option for you. If you’re on the verge of defaulting on your loans, you’ll most likely be looking for solutions, and the opportunity to refinance refinance student loans is one of your prime options. Yet before you move forward with this option, you have to be sure that this is the right option for you. If you have both federal and private student loans, for example, be aware that these loans cannot be consolidated together. You can consolidate federal loans through the Department of Education, but private loan consolidation companies will only be able to consolidate private loans. If you decide to refinance your student loans, one possible drawback is that you might end up paying more in the long-term. This is because by signing on for a longer payback period, the interest on your balance has more time to rack up. On the other hand, your monthly payment could drop considerably. For example, if you owe a combined total of $50,000, you could save less than $1000 annually. Additionally, by consolidating your loans you’ll have the security of having a fixed interest rate, rather than having a number of loans whose interests fluctuate according to the current whims of the market. Considering the highly precarious state of the global economy, this is an incomparable asset. Your potential for refinancing student loans may depend on your past record of paying back debts, so get a rating from at least one of the Big Three ratings companies, a process that should cost less than fifty dollars. People often assume that having had few credit cards or making a few late payments will tank your credit, but this isn’t true. Making steady car or rent payments, for example, can give you upstanding ratings, so seek out the actual numbers rather than second-guessing yourself. If you discover your rating issub-par, all is not lost. You can almost always refinance with the aid of a reliable co-signer. Signing up for a refinanced student loan won’t do any good if you’re not sure of the road to repayment. As a rule, you should have at least $2000 per month in documented income to apply for consolidation, so if your job status is uncertain, you may want to hold off. This is an even greater concern if you’re bringing a cosigner into the picture, as defaulting will negatively affect their credit rating. On the other hand, making a year of payments on time will relieve your co-signer of any liability, so if you feel solid in your imminent earning power, let your possible co-signers know. -Social security and driver’s license numbers. Whether you only took out a few thousand for community college or went in deep for a Ph.D., chances are debt consolidation may work for you. Make sure you do your homework and avoid rushing towards a hasty decision and you’ll be back on a steady course in no time. Research from the National Association of Colleges and Employers (NACE) reported the 10 highest-paid majors for recent college grads. 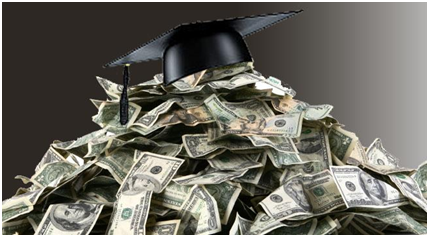 Overall, the study found that the average starting salary of all new college grads is $44,455, up 3.4% from a 2011. When thinking about taking on student loan debt, it might be helpful to also take into account your potential starting salary and what industry is currently hiring. Student Loan Debt for Grandparents? Through March 2012, the number of borrowers of student loans age 60 and older was 2.2 million, a figure that has tripled since 2005. That makes them the fastest-growing age group for college debt. All told, those borrowers owed $43 billion, up from $8 billion seven years ago, according to the Federal Reserve Bank of New York. Almost 10 percent of the borrowers over 60 were at least 90 days delinquent on their payments during the first quarter of 2012, compared with 6 percent in 2005. And more and more of those with unpaid federal student debt are losing a portion of their Social Security benefits to the government, nearly 119,000 through September, compared with 60,000 for all of 2007 and 23,996 in 2001, according to the Treasury Department’s Financial Management Service. There are certain things in life that once you start on it, there’s no turning back. One of these is attending college financially backed by a private student loan. Not graduating after taking out an educational funding can wreak long-term havoc on a person’s finances. First, students who enter college without finishing their degree are still required to pay off their debt. It is important to note that private student loan or any kind of college financing are usually not dismissible, even during bankruptcy. So technically, college drop outs need to pay for something that they did not exactly benefit from. This financial quandary is amplified by the fact that non-degree holders earn significantly lower than those with a college diploma. Modern job roles, especially the high paying ones, include a Bachelor’s degree as one of the minimum qualifications. In terms of annual salary, college graduates earn an average of $52,200 versus the $30,400 of high school graduates. At this point, it’s really just simple math: the more you earn, the more money you can use to pay off debt. Many experts set the point of no return at two years. If you are an incoming junior college student and have financed your freshman and sophomore years with a private student loan, you better make sure that you will march on graduation day. Taking a private student loan to obtain a Bachelor’s degree is a good investment; just make sure that you’re in it until the end. It will boost your earning potential and a great foundation in building a financially stable life. Certain education lending experts, such as Cedar Educational Lending, can offer several options for private student loans. When taking out a private student loan, be sure to know what repayment choices are available to you. For example, private student loan consolidation is an efficient and cost-effective way to write off your student loan debts. By combining all your student loan debts into one, private student loan consolidations can offer lower interest rates and extended payment terms. In this case, taking out a private student loan can jump start your way to becoming financially responsible. An age-old mantra constantly reminds people that in life, quitters never win. This strongly resonates when it comes to finishing college, especially if you have a student loan to pay off. 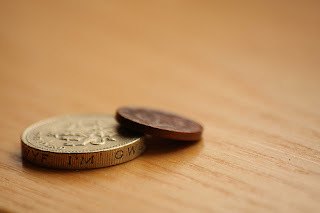 With the current economic crisis that all of us are experiencing, certain problems like unpaid debts are not uncommon. Unlike before, the cost of living has skyrocketed into heights that left us all uncertain and struggling. One commonly unpaid debt is private student loan. Almost 50% of students who graduated from college owe money to private loan companies, and with the increase in the unemployment rate, some are having a hard time paying off their student loans, and some have no other choice but to file for a private student loan bankruptcy. 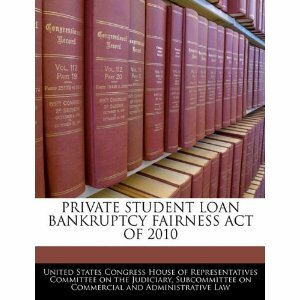 What is private student loan bankruptcy? A student who fails to pay their debts after the usual grace period (which is usually six months) has elapsed. One can file for a student loan bankruptcy if he or she can prove that they are not capable of paying their debt, or that paying off the debt can cause them to live without even the bare necessities. One must prove that his or her income is not enough to pay off the loan. You can also request for an easier payment term from the court, which still shows that you are willing to settle your debts. be more responsible when it comes to borrowing money. Know all the fees, the rates and the conditions attached to the loan before pushing through with your application. Seek the help of your guidance counselor or the school personnel assigned to explain student loans. find a resolution as early as possible. If you feel that you are not that successful when it comes to managing your finances, seek help as early as possible. Consider doing a private student loan consolidation, to make it easier for you to pay off your debts. Seek help from your guidance counselor, or even your parents. You should not let things get worse for you and your debts. Starting off after graduating from college can be really exciting, especially when it comes to sacking that first job. But it also opens you up to the reality of life, which is clearly represented by the private student loan that you have to pay off.